Before we get into the nitty gritty of it all, let me make one thing clear. The only way to increase online sales is to increase your traffic from the right people. Now that that’s out of the way, let’s talk about things you can do on your shopify site to get that right traffic and get those sales. 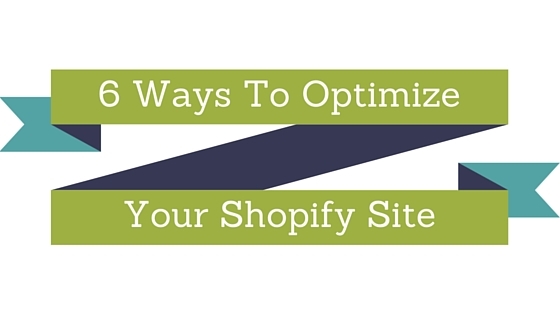 According to Shopify, Pinterest is the second largest source of traffic to Shopify stores. And when they get to the shopify site, they are actually spending money. The average transaction is around $50. Beyond that, Shopify is special because they have a partnership with Pinterest that allows you sell directly on Pinterest with “buyable pins”. Don’t underestimate the power of Pinterest for ecommerce. People browse Pinterest for things to do, make, and buy. Besides shopping directly on your store or through buyable pins on Pinterest, you can allow your fans and followers to buy directly through Facebook as well. Setting this up is easy. All you have to do is enable the Facebook store within the back-end of your Shopify store and bam you have a functioning Facebook store. The ease is nice, but what makes it even more powerful is that you can do direct advertising to possible buyers or old buyers. Because you will be advertising within a Facebook link and not sending that traffic to your website, the cost per click will actually be lower. Yes, Facebook will reward you for keeping the traffic within their network. They don’t want people leaving and you can use this to your advantage. This is just plain solid advice for all sites. Blogging is one of the best ways to increase your traffic on social media sites and search engines. What’s nice about blogging is that it increases the entry points into your website. Each blog post is a landing page and each blog post gives you an opportunity to sell to someone. Think about broad topics that relate back to the products you are selling as well as product specific posts. Then share, share, share. This is the strategy we use for our clients and it works. A content marketing SEO strategy uses content as the back bone of the strategy. It incorporates targeted keywords, updated content and best practices for titles and meta tags. You can learn more about our strategy on this series of posts I wrote. But whatever you do, keep in mind that your site should be content heavy for best results. Speaking of content, the descriptions you use matter. You want to entice your visitor to buy from the description, but you also want to make sure that it is search engine friendly. Remember those keywords you came up with above for your content marketing strategy? Use them here. You can also think about infusing your descriptions with your voice to make it fun, serious, educational or whatever fits your business. Photos on ecommerce sites should be a selling point. But they need to work on your site and on social sites when you share them or when others share them. I think real life photos work really well for many products so in addition to your standard product photos, think about real life uses so that your customer can imagine themselves using it. Real life pictures also work a lot better on social and as you know social drives sales and traffic. BONUS: Plugins are your friend. Plugins can enhance your site. While each site will need a customized approach, here is a great list to get you started on your plugin journey. Do you have a shopify site? What tips can you share?